Planning to make an impact when you're called to the Torah? 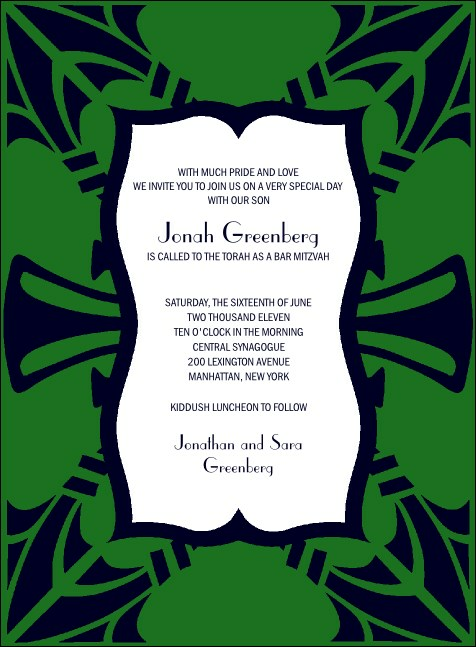 Before you hit the bimah, gather the whole mishpacha with the bold colors of this Bar Mitzvah Invitation in blue and green. It's a smart way to let everyone know that you're about to enter adulthood and you'd like them to be there on your big day. Siman tov u'mazel tov! Raise your voice with TicketPrinting.com!